If you are a coffee lover, you'll adore this stylepack for SmartSHOW 3D. 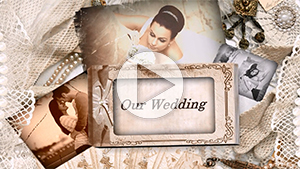 Our sample video features a romantic slideshow that makes use of coffee-themed templates. You can also use this pack to showcase photos from a weekend with friends or a city vacation. And if you have a startup coffee shop or bakery store, our templates will help you make an amazing promo video for your business! These lovely slideshow templates with coffee-centered design will give your photo presentation a wonderfully warm vibe. You can almost smell the enticing coffee aroma as you watch the slideshow. The designer who created "A Cup of Coffee" is also a capuccino fan and a food photography lover - and she decided to combine her passions while working on this stylepack. Want to present your own pictures using these templates? It's easy as pie - load the pack into your SmartSHOW 3D and add your images. Need to use a video clip in your slideshow? No problem - there's a dedicated slide template for videos. As for the soundtrack, you can use your own music or pick an instrumental piece from the software music library. If you have any questions when working on your slideshow, feel free to get in touch with our support team - they'll be happy to help.